Golf fans everywhere are celebrating as Tiger Woods has officially made his huge comeback. 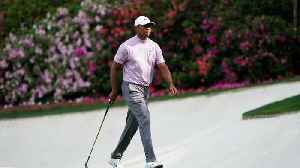 According to Reuters, Woods completed one of sport’s greatest all-time comebacks when he ended his 11-year major title drought at the Masters on Sunday. His victory was marked by a fifth Green Masters Jacket. Woods secured his championship with a one-shot victory over Dustin Johnson, Brooks Keopka and Xander Schauffele earning the 43-year-old his 15th major title. Not every celebrity enjoys a straight line to success. 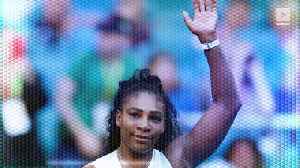 Here are some major comeback stories of today's celebrities. 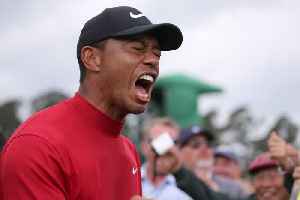 Tiger Woods to Receive the Presidential Medal of Freedom The 2019 Masters marks Woods’s fifth win of the prestigious tournament, as well as his first major golf win since 2008. 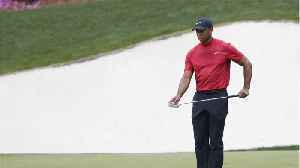 Following his..
CBS Scores Historic Golf Ratings Thanks to Tiger Woods As Woods made his way up the leaderboard at The Masters this past weekend viewers flocked to CBS to tune in for his eventual victory on Sunday.. If winning his first major tournament in over a decade wasn’t enough, Tiger Woods is going to receive a Presidential Medal of Freedom. In a tweet Monday morning, President Donald Trump announced that.. Celebrities Congratulate Tiger Woods on Win at the Masters Tiger Woods won his 5th Masters tournament on Sunday, his first since 2005 and his first major win since the 2008 U.S. Open. Celebrities..
A decade after a marital dispute with his then-wife led to a crushing fall from grace for the golfer ー which was then compounded by years of injuries, surgeries and a public battle with substance..
(CNN)It was never meant to happen. And yet, it did. It was the major victory many had long since accepted would never happen again -- 3,955 days after his last major triumph. Since Tiger Woods won the..